Ultrasound has long been used to non-invasively image the body. Now, it can be used to non-invasively transform your skin. Leveraging ultrasound technology, Face of Jules can stimulate your skin and encourage its rejuvenation. Ultrasound therapy for your face is so effective because it can safely penetrate much deeper under your skin than most technology available today, including lasers. This deep penetration allows a fuller stimulation of cells beneath the skin, supporting collagen production, minimizing inflammation, and improving circulation. Collagen is an important protein that helps your skin stay elastic and young. Stimulating its development in your skin can help you turn back the clock. Reducing inflammation in your face helps it look its healthiest, while increased blood circulation gives you a glow all your friends are sure to notice. 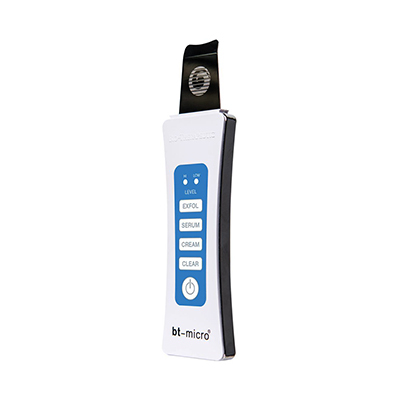 Please take a look at our Oxylight therapy page for additional information. As always, our Los Angeles facial spa has decided to use the most advanced, effective technology available today to give you optimal results. We use the Biosonix Ultrasound in our ultrasound face treatments. This innovative system not only delivers all of the benefits discussed above, but also helps your skin absorb minerals and vitamins. By applying the right serums for your unique skin during your ultrasound skin treatment, Julia can help them penetrate deeply so you get impressive results. In addition to our signature facials, ultrasound therapy is an excellent means of addressing facial skin that is sagging. If you feel like gravity and time have not been kind to your skin, this therapy could be exactly what you need. Over the years, aging can cause skin to loosen across the face. The resulting sagging and drooping adds years to the face, causing you to look older and more tired. While you may have thought a face lift was the only way to reverse this effect of aging, ultrasound therapy is an alternative. Ultrasound therapy facials stimulate the skin, helping it build up the proteins it needs to look taut and youthful while stimulating circulation to give you a healthy glow. What’s more, it’s completely noninvasive. The ultrasound wand will be moved across your face, delivering its powerful but entirely safe waves to the layers underneath your skin. After your ultrasound face therapy, you can continue on with your day. There is no pain and no downtime – just impressive results. You’ll leave your ultrasound skin treatment glowing because of its immediate stimulation of circulation. The results will only continue to improve as the triggered collagen production develops more and more of this protein for your facial skin. Over time (usually around three to six months), you’ll see your results continue to improve until you’re left with firmer, tighter, younger-looking skin. One treatment is generally enough to help people restore youthfulness to their skin, but Face of Jules can work with you to achieve your skin goals. Multiple treatments can help you unlock your dream skin. If you would like to learn more about this non-invasive, highly effective facial treatment, contact Face of Jules today. Our esthetician Julia can leverage ultrasound therapy to help you turn back the clock and reveal glowing, firm, beautiful skin! 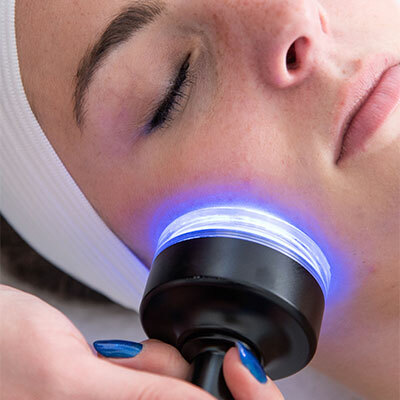 Rejuvenate your skin with Ultrasound Face Therapy.